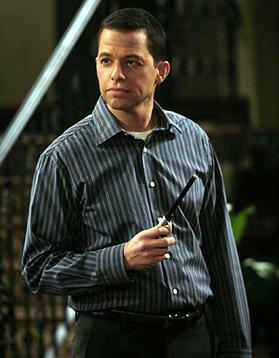 Jon Cryer is sporting a completely new look and is almost unrecognisable from his award-winning portrayal of Alan in Two and a Half Men. Now bald and bearded, Cryer was seen posing for pictures with his fellow Supergirl cast earlier this week and was looking more suave than ever. 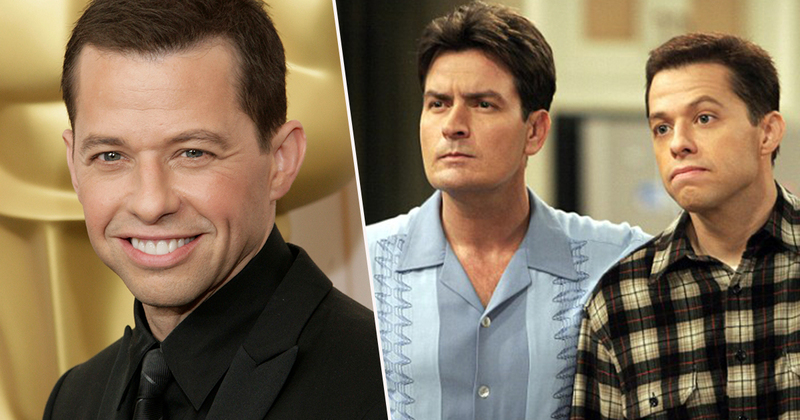 The 53-year-old actor portrayed the awkward chiropractor in CBS’s hit show for 12 seasons, making him the only original main cast member to stick around for every season. As well as being notably awkward and a hapless father, Alan was renowned for his lusciously thick, dark hair which he sported throughout every season. However, in recent days Cryer can be seen sporting a completely different look – and his once thick hair is nowhere to be seen. In a recent photo posted by fellow Supergirl cast member Andrea Brooks, the actor – now bearded and bald – was all smiles while he held an American flag. But his new look is not just a fashion statement; Jon has been open about his hair loss in the past, appearing on late night talk show TBS five years ago with host Conan O’Brien. Speaking openly with O’Brien, the actor revealed he only had ‘four or five’ hairs on his head and described how talented professionals ‘made the most’ of his remaining hairs. After O’Brien mentioned his ‘crazy hair’ in the Pretty in Pink film, Cryer said it was simply an ‘elaborate illusion’ and went on to reveal his secret. Cryer described how he didn’t have to wear a wig or anything similar because the professionals simply sprinkled powder from a salt shaker. This is the work of several talented professionals making the most of like four hairs. It’s amazing, actually, what they can do. I’m not wearing a piece or anything like that, but it’s a long involved process that starts with stuff like shoe polish, basically, that they coat your scalp at the top. They basically just paint – they get a roller type thing – and just whoosh along the top. Well, I don’t know about you lot but I’m loving his new look. And if fans’ reactions are anything to go by, it suits his portrayal as Supergirl villain Lex Luthor to a T.